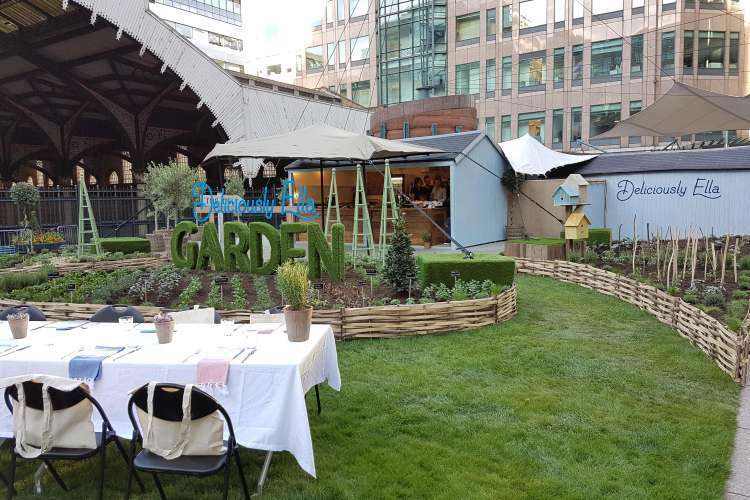 The brief was to design and install a pop up kitchen garden for Ella Mills ‘Deliciously Ella’ brand on behalf of Broadgate Estates. 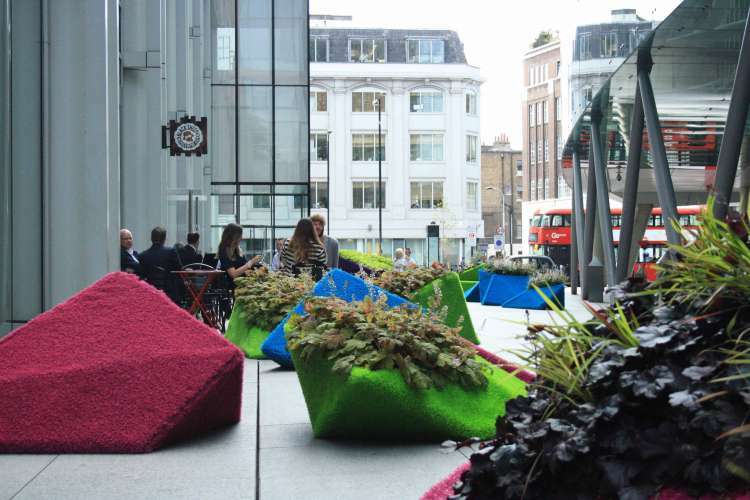 Broadgate Estates wanted us to create a truly immersive experience for visitors to Exchange Square, situated behind London’s Liverpool Street station. 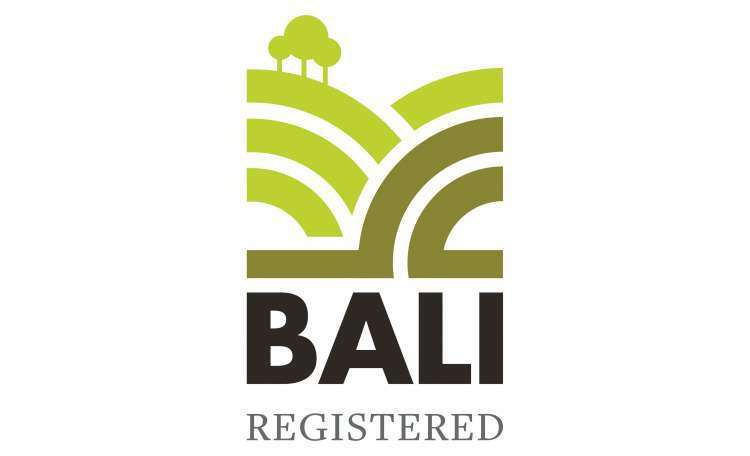 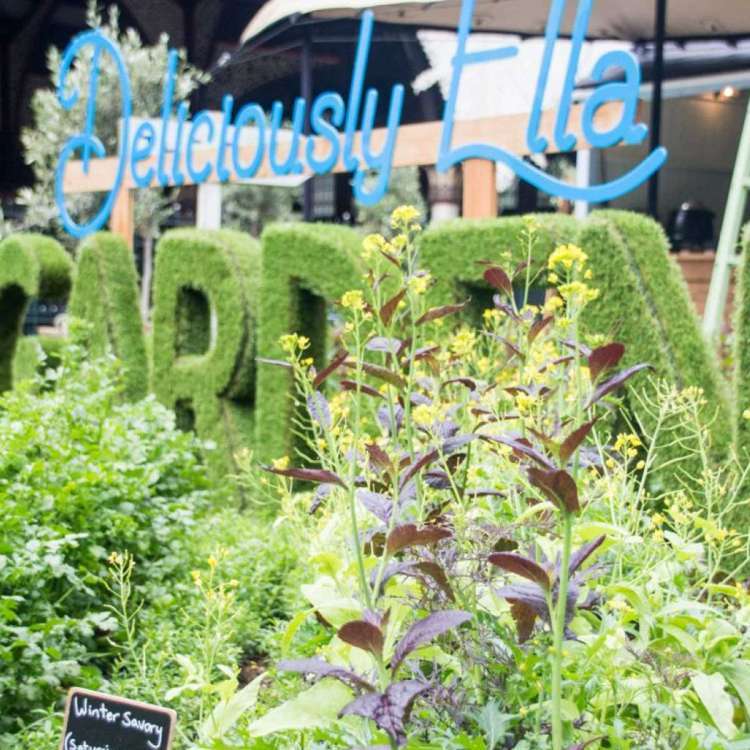 Broadgate wanted to achieve a British kitchen garden as part of their ‘Global Gardens’ campaign and when the opportunity to work with Deliciously Ella materialised, the partnership proved to be the perfect combination of Broadgate’s desire to go green and Ella’s mission to make vegetables cool. 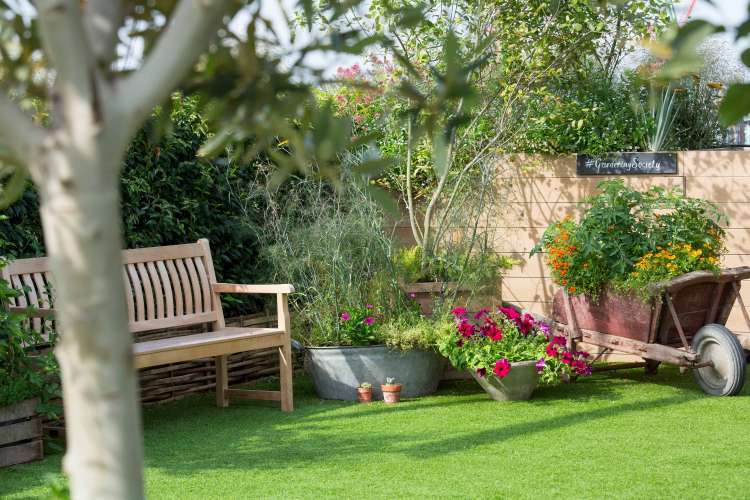 Traditional English woodland woven hazel formed raised beds that were filled with soil and organic compost. 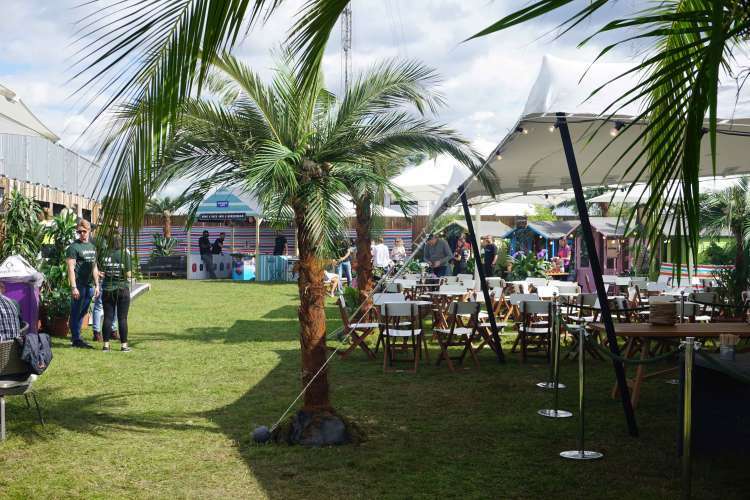 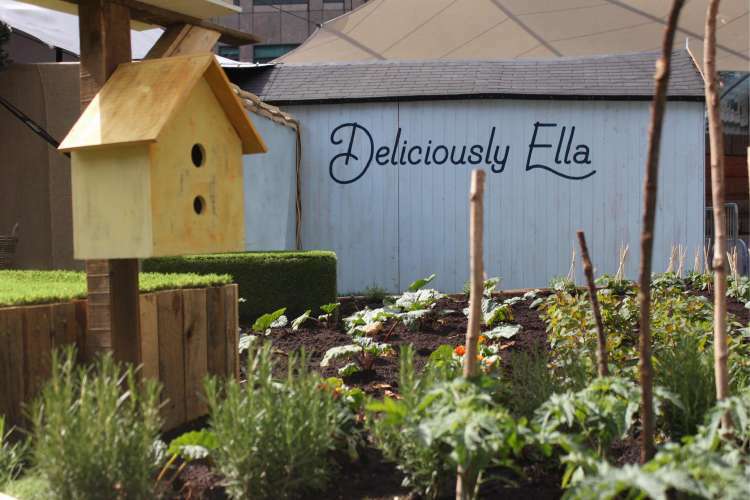 The garden was planted with many of Ella’s favourite salads, fruit, herbs and vegetables that provided taste in the kitchen and colour in Exchange Square for the 8 week period that the garden was open. 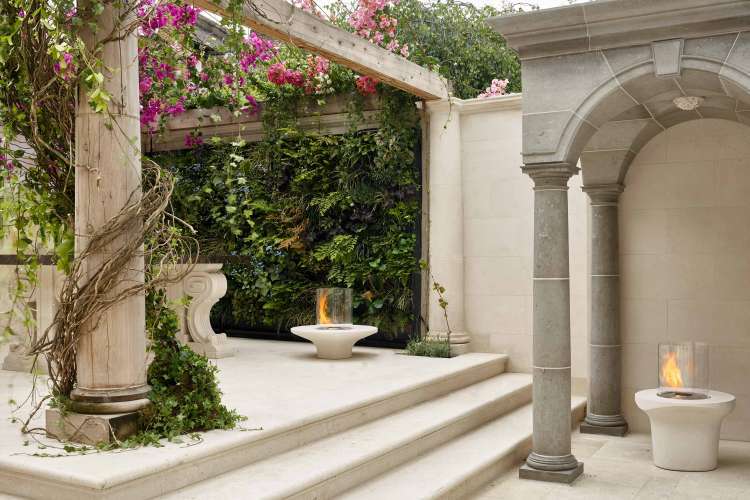 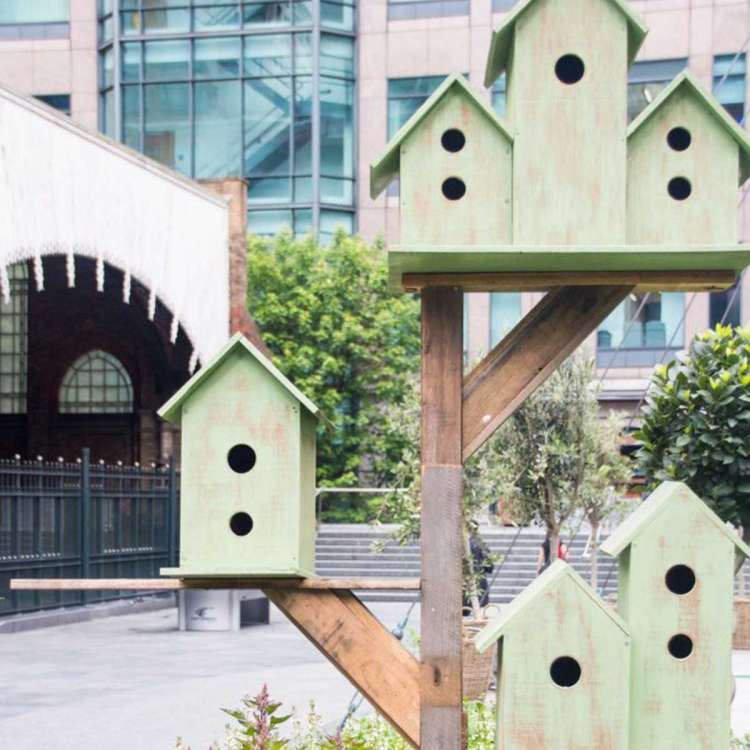 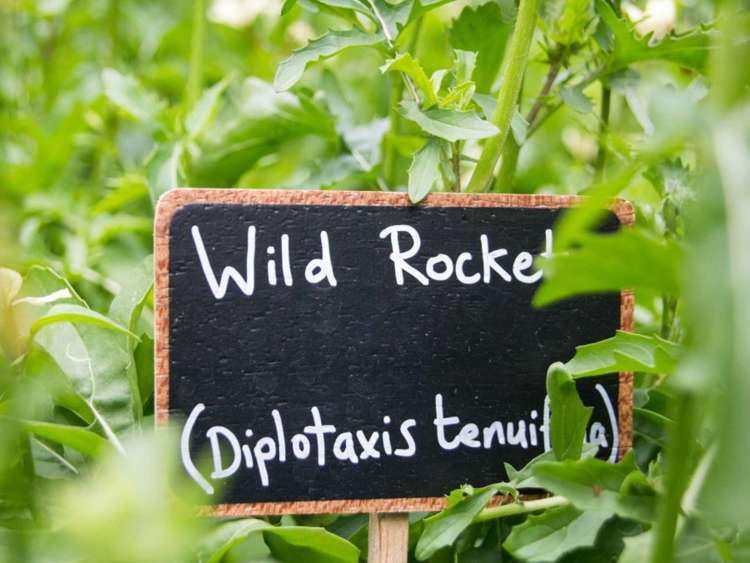 The garden was accessorised with bespoke bird box towers, obelisks and signage produced by Garden Club London’s in house team. 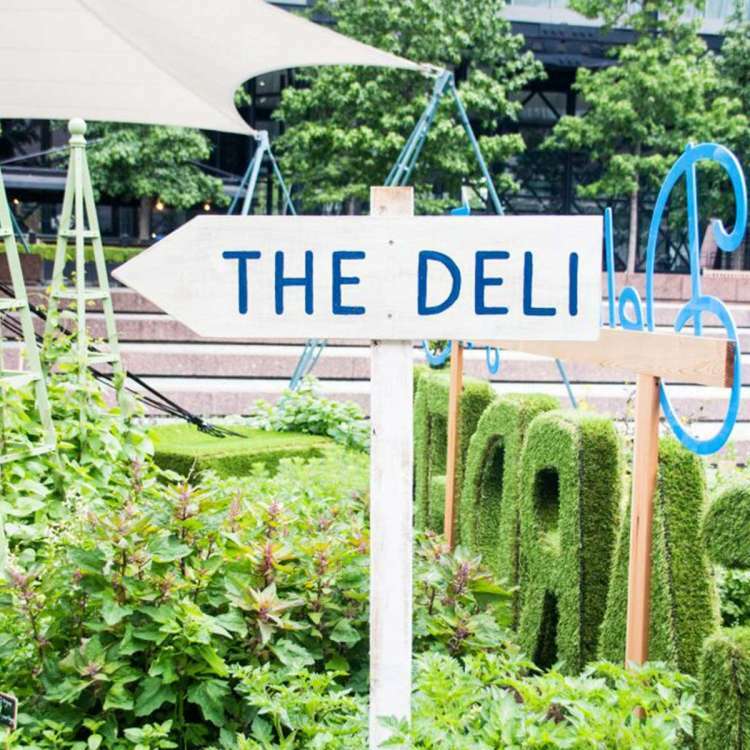 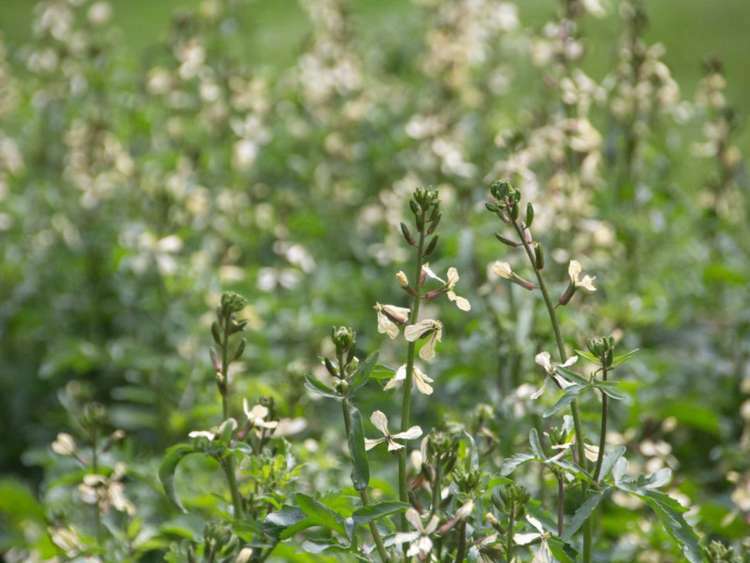 The Deli garden changed weekly as the plants grew and crops developed. 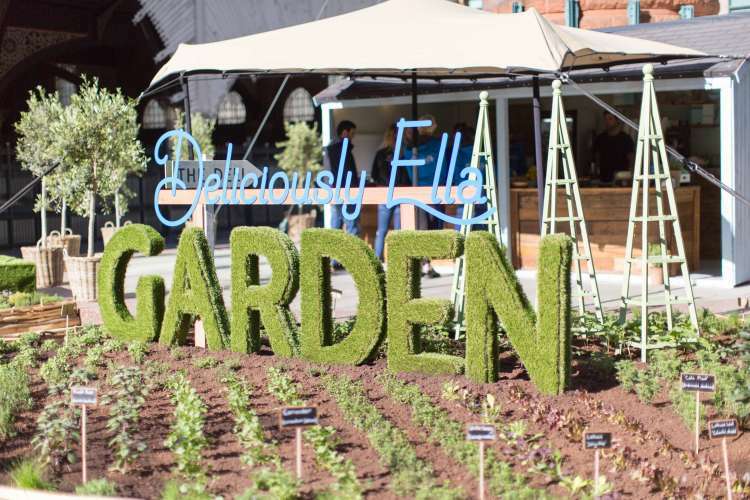 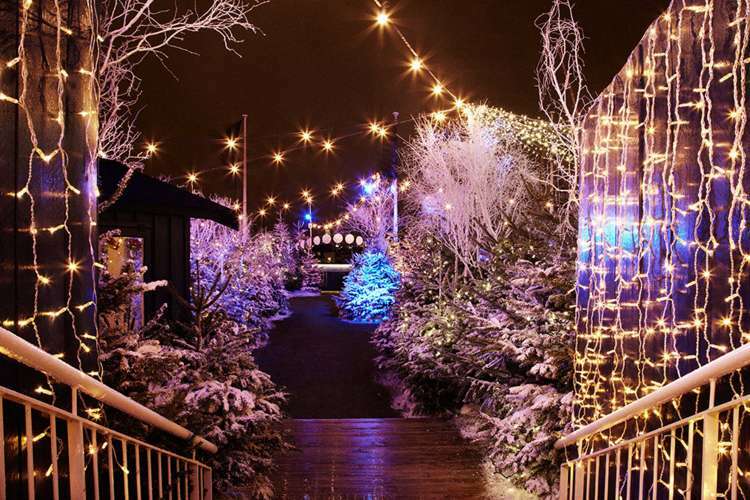 This drew visitors back to see how the food they were eating was grown and allowed customers to sample a changing seasonal menu. 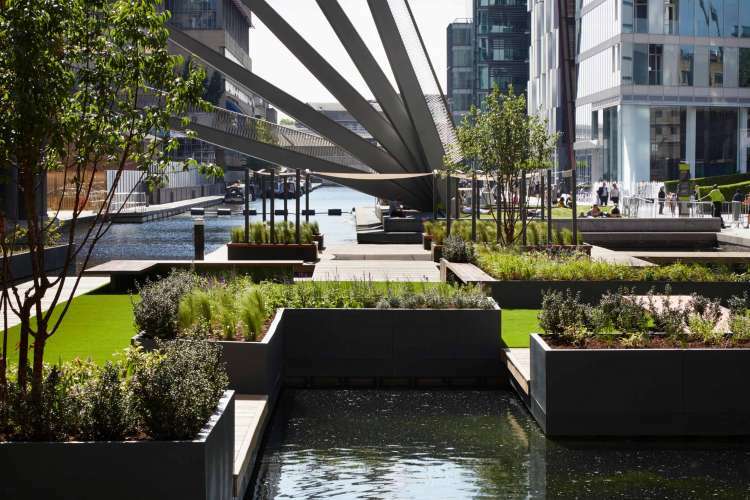 The garden provided an opportunity for discovery and engagement for everyone who visited Exchange Square and was a perfect addition to our clients programme of Wellbeing events.